Adrian is in his fourth decade of working within financial services, which started in 1986 as a cashier with TSB. 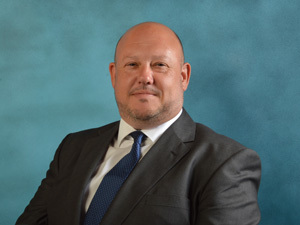 Since then he has worked in various roles with Hill House Hammond, Aviva, Lloyds TSB, Pearl Assurance, Birmingham Midshires, Halifax / Bank of Scotland and AXA. Adrian became a financial adviser in 1999, and works almost exclusively in the Taunton and Exeter areas. Fully believing in Advice...For Life, Adrian recognises that every individual's needs will change over time, and therefore he provides a comprehensive service where his clients' arrangements are regularly monitored, updated and adjusted to ensure that they always remain appropriate. Adrian was exceptional in terms of his customer service and attention to detail. He gave us great confidence in both his own abilities and also in Invest Southwest - Ms J, Talaton, Exeter.